The Federal Government through the Central Bank of Nigeria, (CBN) has signed a Memorandum of Understanding, MoU with two local meter-manufacturing companies for credit to enable them commence mass production of electricity meter. Speaking at a special town hall meeting for youths in Abuja, Minister of Power, Works and Housing, Mr. Babatunde Fashola, observed that local manufacturing would help save capital flight and ensure that most homes in Nigeria are metered. Minister of Agriculture and Rural Development, Chief Audu Ogbeh, said that Nigeria would save $22 billion annually if the farmers could produce the same agricultural produce that are imported. Mr Fashola, please,be dogged about this mass production of Electricity meters for Nigerians so that consumers can call the bluff of Ikeja Electricity and other Discos that have been ripping off consumers with estimated bills. The Honourable Minister for Power – please Sir the menace of accumulated Over-Estimated and Inherited Billings is wearing Nigeria Power consumers out. IKEDC serves me a demonic UNPAID bill of N259,000 whereas my actual (meter-read) consumption not yet paid is less than N65,000 covering periods monthly bills were not served. My supply has been disconnected since October 22/2016 and all written communication to both IKEDC and NERC have been unsuccessful. What else should I do without resorting to self-help? Please help us look down on Gbenga fraudulent activities of IKEDC and willful Blindness of NERC to act on communicated issues. very good. 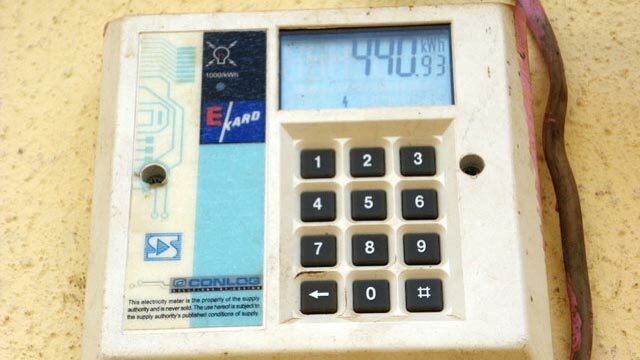 now the next step is to ensure that discos install this meters. The government needs to come up with scheme that would give both the consumer and the disco some time to pay for the meter on a monthly bases. Meter is the beginning of improvement to the power sector. it is would help reduce electricity theft, accurately measure supply and ensure payment for product. The Honourable Minister for Power – please Sir the menace of accumulated Over-Estimated and Inherited Billings is wearing Nigeria Power consumers out. IKEDC serves me a demonic UNPAID bill of N259,000 whereas my actual (meter-read) consumption not yet paid is less than N65,000 covering periods monthly bills were not served. My supply has been disconnected since October 22/2016 and all written communication to both IKEDC and NERC have been unsuccessful. What else should I do without resorting to self-help? Please help us look down on the fraudulent and consumer frustrating activities of IKEDC and the willful Blindness of NERC to act on communicated issues.